The latest English translation of a Korean best seller arrives on a wave of hype, stellar reviews and high expectations. 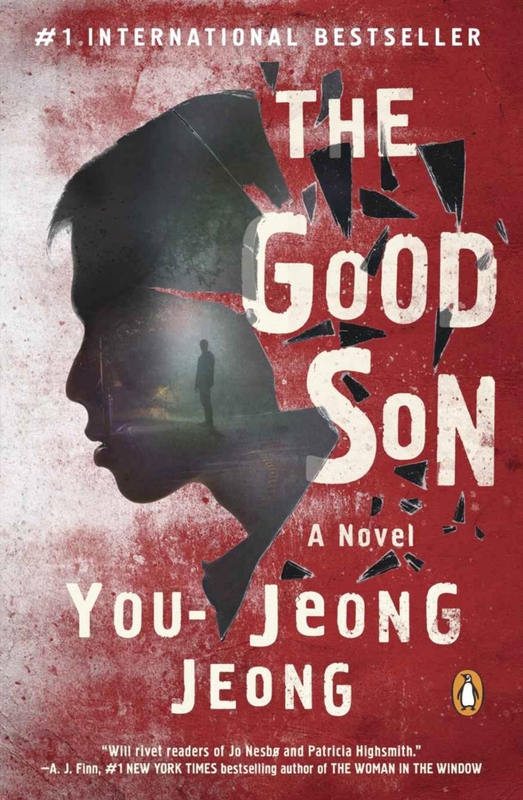 Jeong You-jeong’s psychological-crime-horror-thriller “The Good Son” has seen the multi-million selling Korean novelist compared to everyone from Patricia Highsmith to Jo Nesbo and dubbed as Korea’s answer to Stephen King. If Western literary pundits are to be believed, “The Good Son,” in its English translation, is seemingly poised to become one of the break-out hits of the summer season. Happily (? ), Jeong’s disturbing dissection of the fraying mind of a man who might be a novice serial killer more than justifies the hype. Like Highsmith’s crime classic “The Talented Mr. Ripley” and Gillian Flynn’s recent mega-hit “Gone Girl,” the damaged young man at the heart of “The Good Son” is a decidedly unreliable narrator. You-jin is a stylish variant on this old literary trope and an ingenious creation. You-jin, we quickly learn, has suffered from extreme, epileptic-like blackouts since he was a child. As a result, his domineering mother and strangely antagonistic psychologist aunt have heavily medicated him and strictly control every aspect of his life. His story begins in almost shamelessly gripping fashion; You-jin awakes from a black-out covered in blood to discover the body of his mother, throat slashed, on the floor. He has no memory of what transpired. Did he do it? If so, why did he do it? Is he being manipulated? Why is he being medicated? Jeong fully exploits You-jin’s unreliableness to create deviously sustained scenes of high-strung tension and almost unbearable skin-crawling, squirm-inducing dread. Add to this a family mystery surrounding the death of You-jin’s father, an adopted brother almost too well behaved to be true and a pair of local detectives investigating the murder of a local girl and you have a recipe for thrills and scares in equal measure. With novels like this and J. M. Lee’s “The Boy Who Escaped Paradise,” as well as forthcoming titles such as “The Plotters” by Kim Un-su, maybe the predictions that Korean crime fiction would become the next big international trend in genre fiction are becoming true. Because, make no mistake, Jeong’s novel reveals a master at work expertly plying her craft. “The Good Son” is brutally well written, compulsively plotted and cleverly structured.